The history of the United States Strategic Air Command. Footage of SAC headquarters, terminals and airplane footage. In October 1962, the Soviet Union and the United States are at the brink of nuclear war, the 13 most harrowing days in the nuclear age. 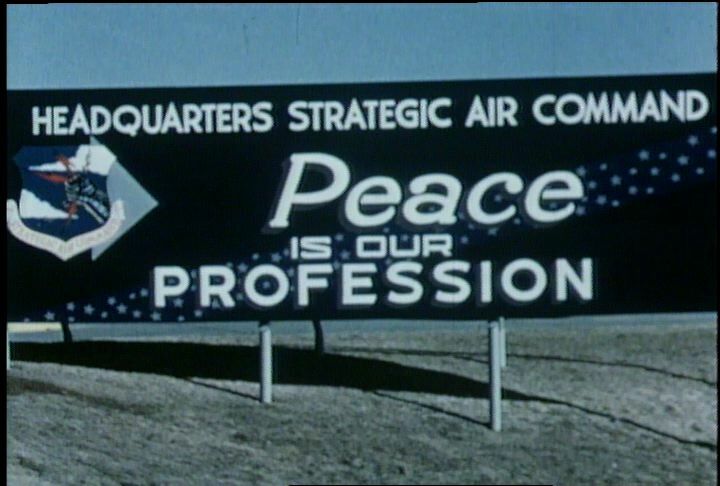 Chicago: “War and Peace in the Nuclear Age; At the Brink; The Strategic Air Command Story,” 01/01/1960, WGBH Media Library & Archives, accessed April 22, 2019, http://openvault.wgbh.org/catalog/V_B7EC792FFF8F430BBA22A8F41B995FC0. MLA: “War and Peace in the Nuclear Age; At the Brink; The Strategic Air Command Story.” 01/01/1960. WGBH Media Library & Archives. Web. April 22, 2019. <http://openvault.wgbh.org/catalog/V_B7EC792FFF8F430BBA22A8F41B995FC0>.